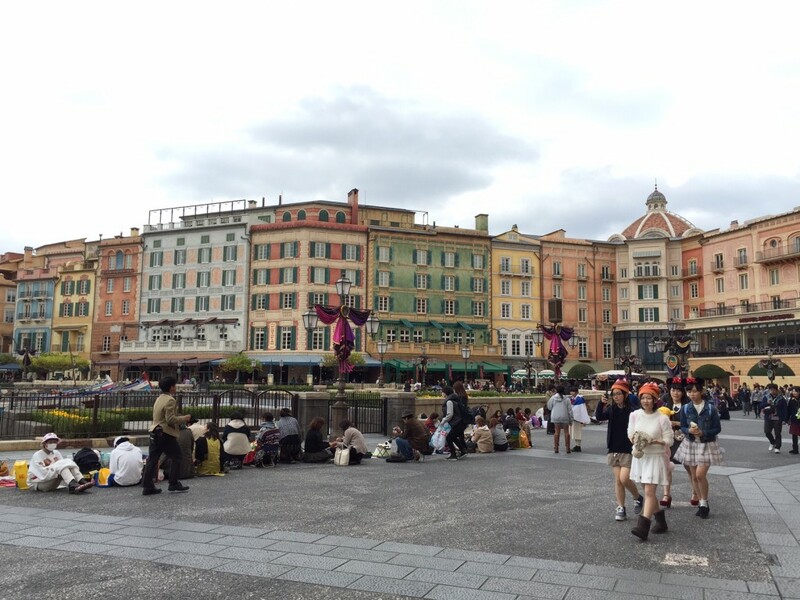 For the past three years, we have stayed at DisneySea Hotel MiraCosta in the lead-up to Halloween. 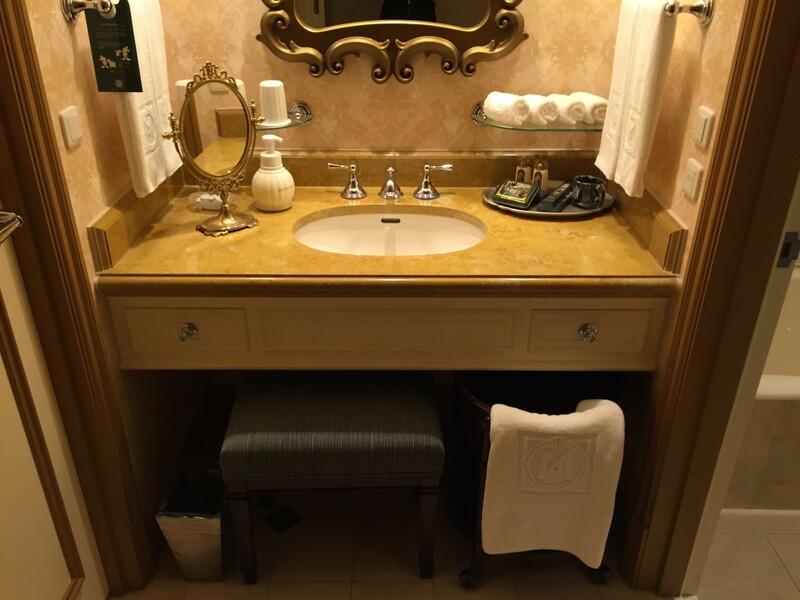 In previous years, we have stayed in a ‘Speciale’ Venice Side Terrace Room and a Venice Side Superior room – click here for the details and comparison of the rooms. 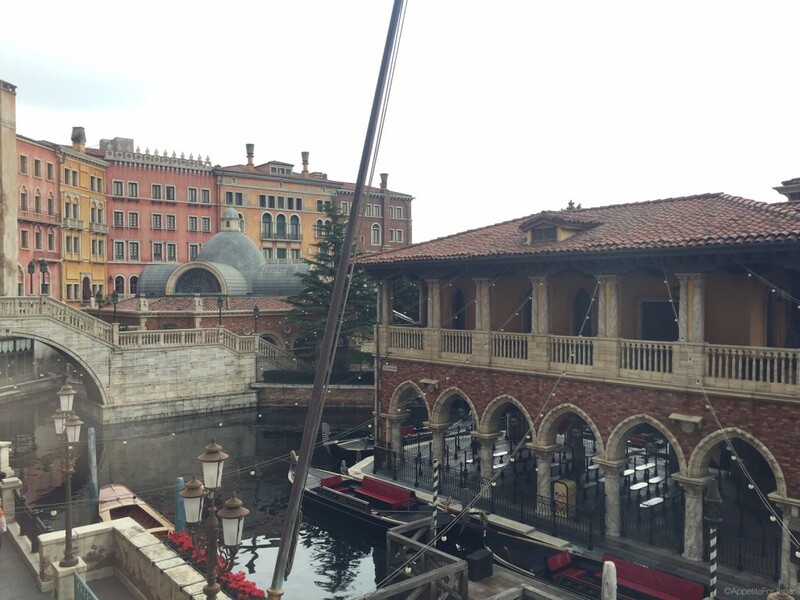 This year we stayed in a newly renovated Venice Side Superior room. 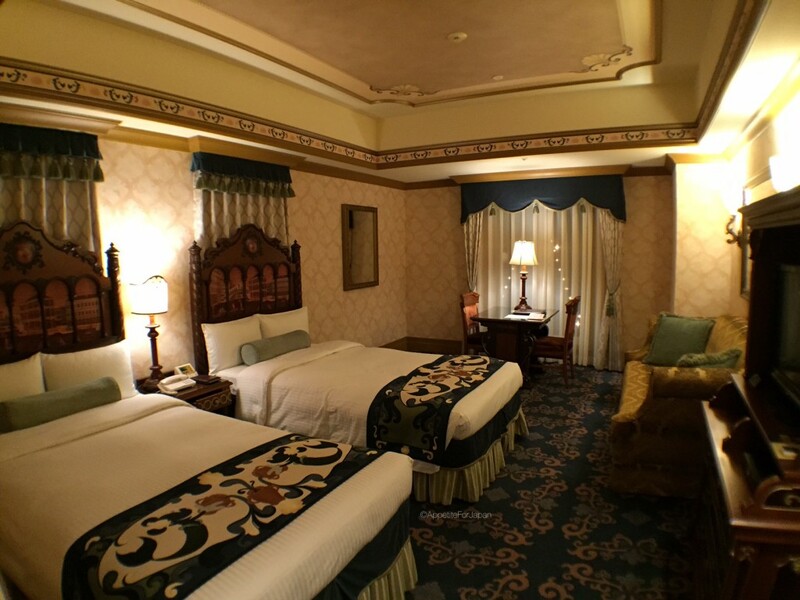 The overall layout of the renovated rooms is the same as the previous versions. 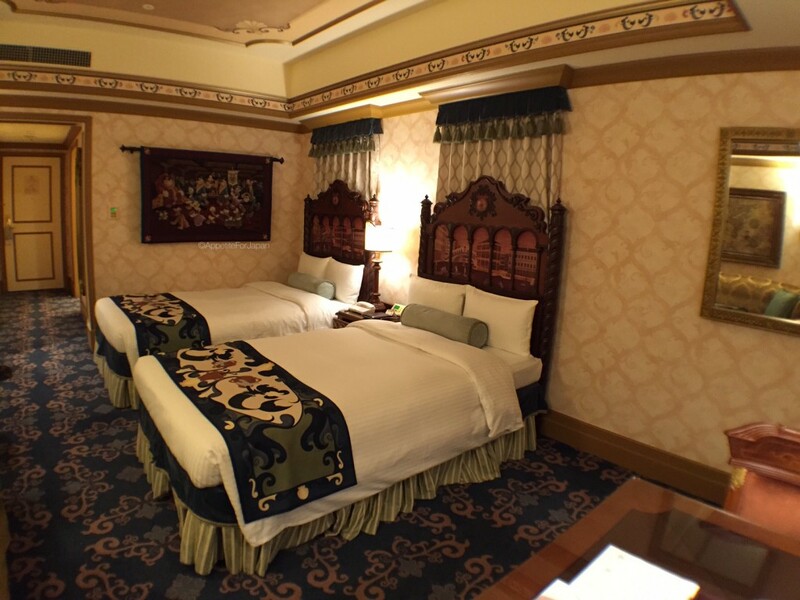 For example, unless you’re staying in a Speciale room or a suite, all beds are still single beds. 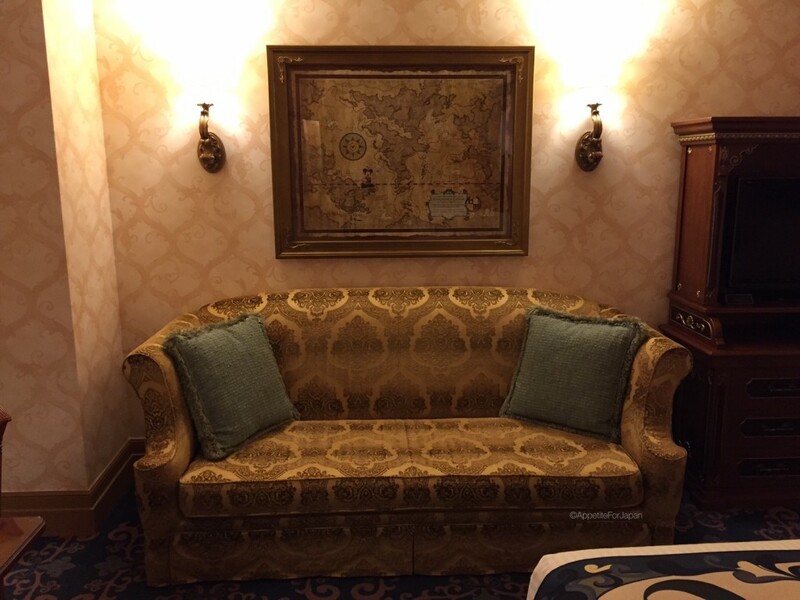 Essentially all that has changed is the furniture, artwork, wallpaper, carpet and bedspreads. 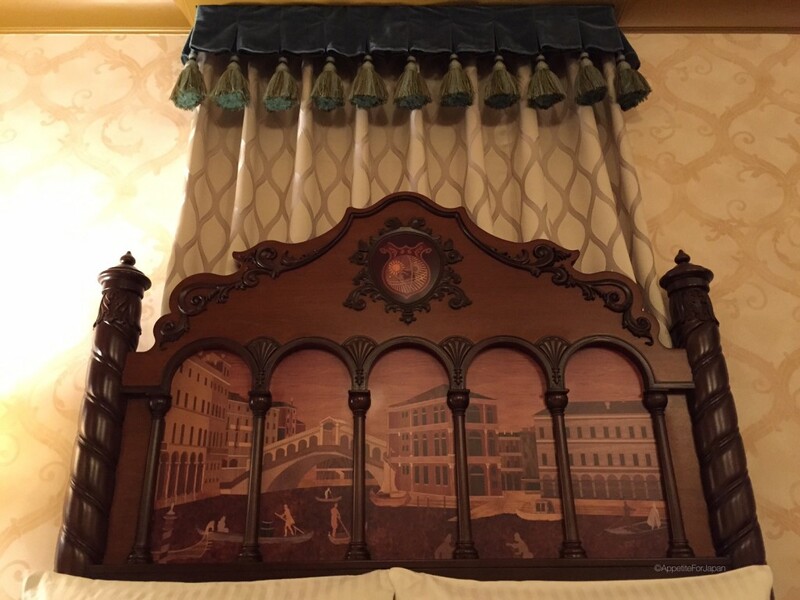 The old bedspreads do look a little dated in comparison, but I was surprised by how similar it seemed. 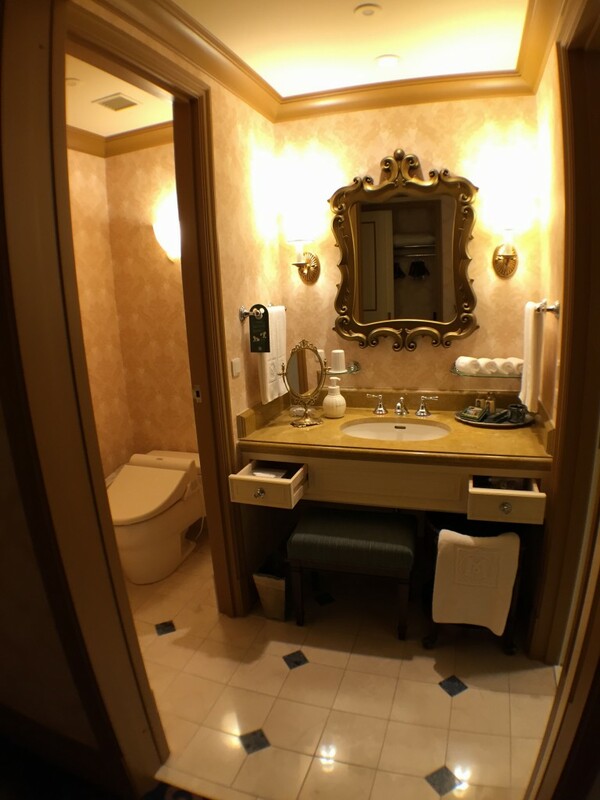 I guess huge changes weren’t necessary as MiraCosta was already an excellent hotel. It has retained the same overall feel that it had before the renovations, which is a good thing. 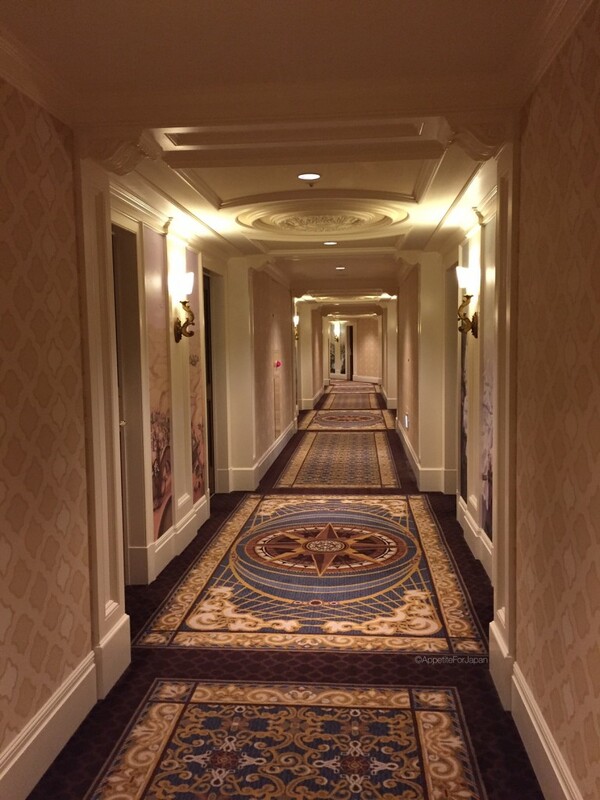 The corridors also have new carpet and wallpaper. Look at the detail on the bed heads! 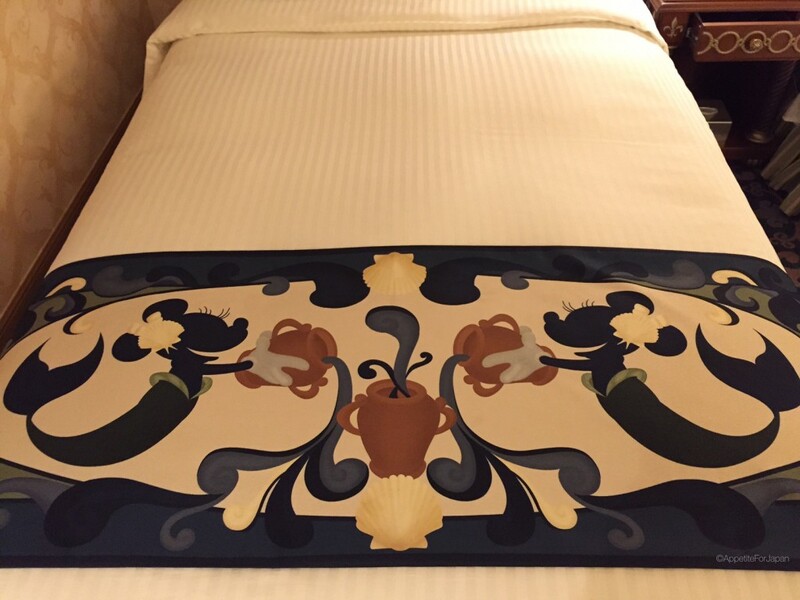 Above: Mermaid Minnie designs on the bed. 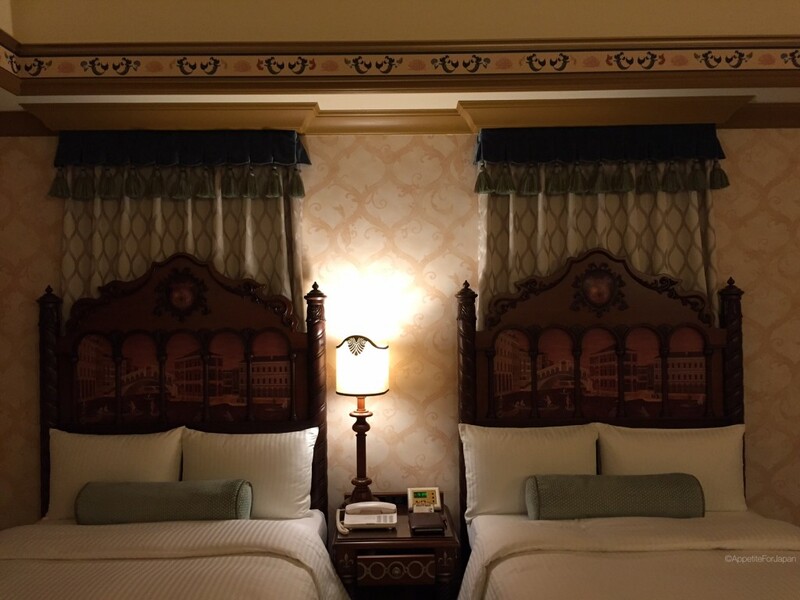 Above: Unlike the older rooms, there are fewer Disney details hidden in places such as the wallpaper and carpet. 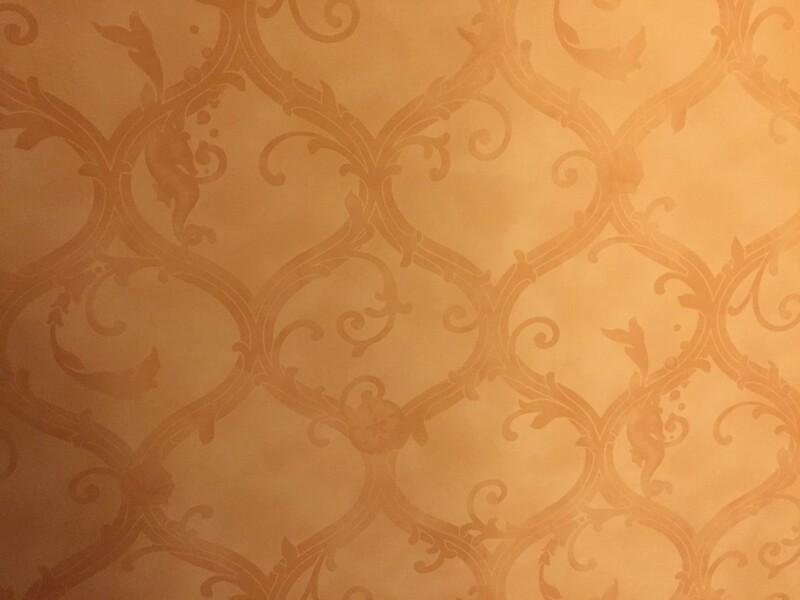 In the newly renovated rooms, you can find seahorses in the wallpaper. 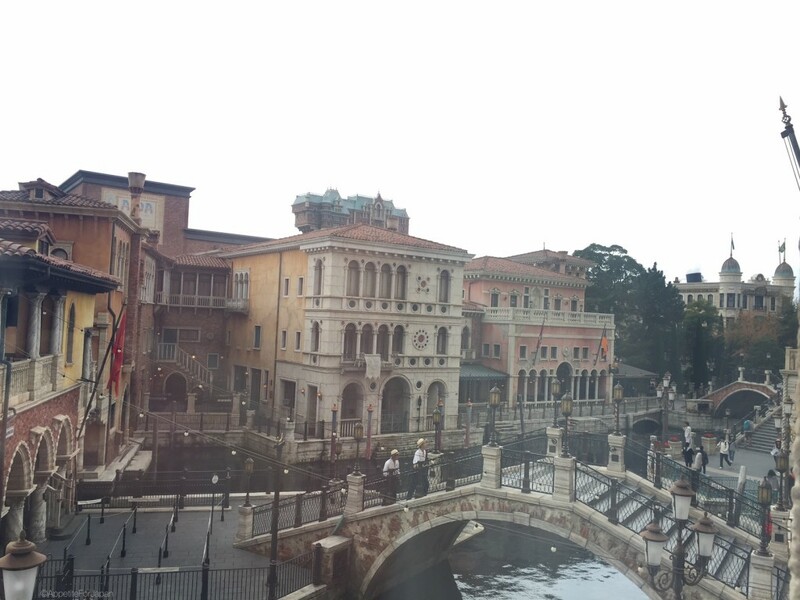 Above: A map on the wall depicts the imaginary places that fit with the theme of DisneySea. 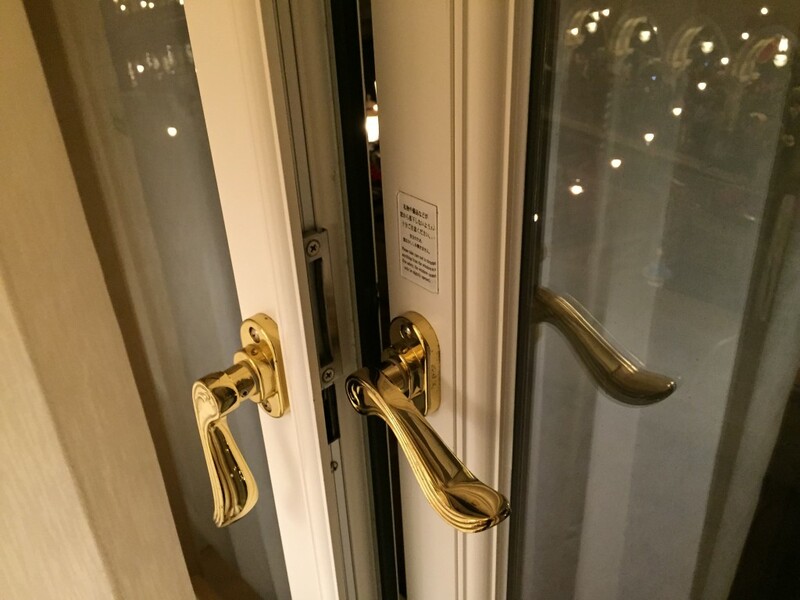 Above: Something that hasn’t changed with the renovations is that unless you book a room with a terrace, you won’t be able to open the doors very far. This is as far as the doors open on a Venice Side Superior room. Just enough to let the sounds of the park in. Above: Instant coffee making supplies. 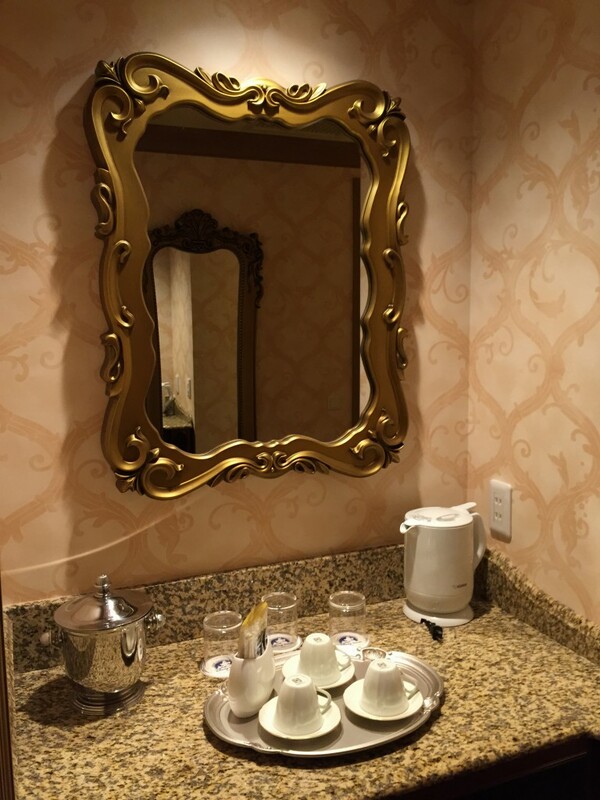 Every time I stay at MiraCosta, I’m perplexed at the lack of tea. They only provide coffee. 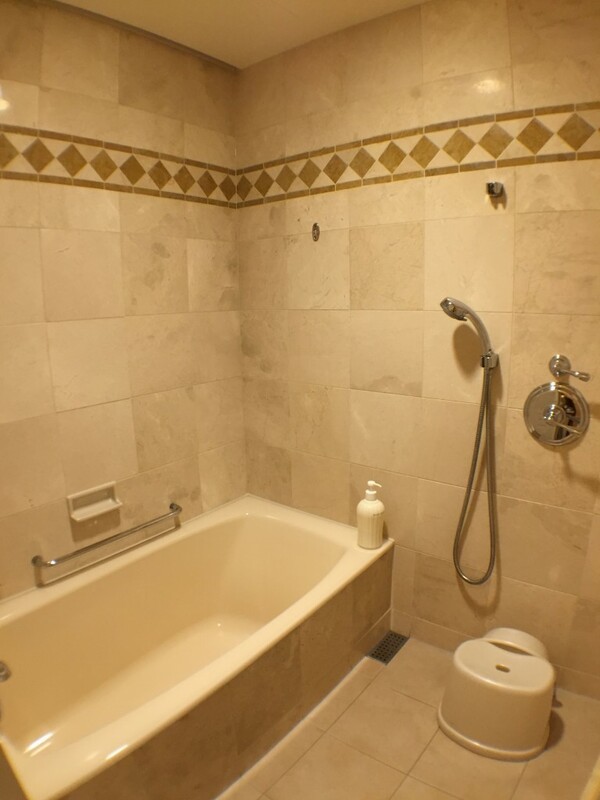 Above: The amenities are the same regardless of the room type and whether it has been renovated. There are two more toothbrushes and a hair brush in the vanity drawers. 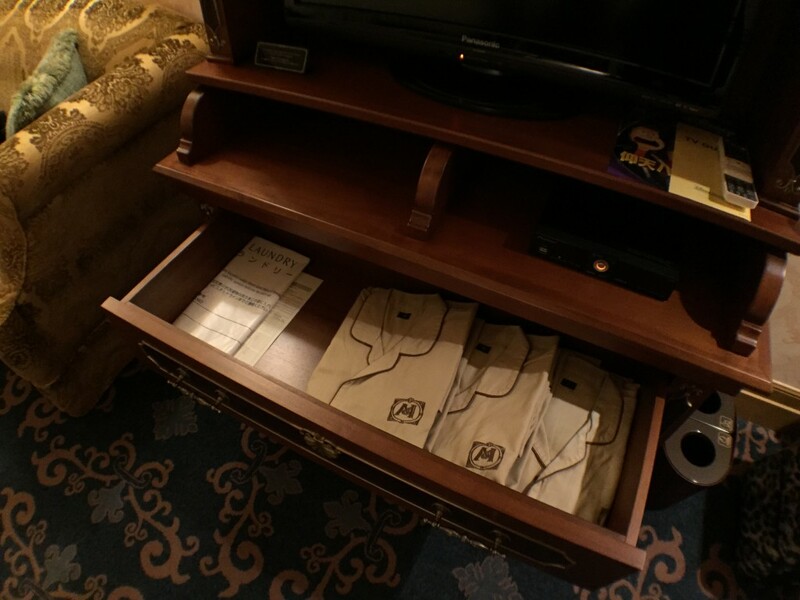 Above: MiraCosta pyjamas are still provided (no, you can’t keep them). 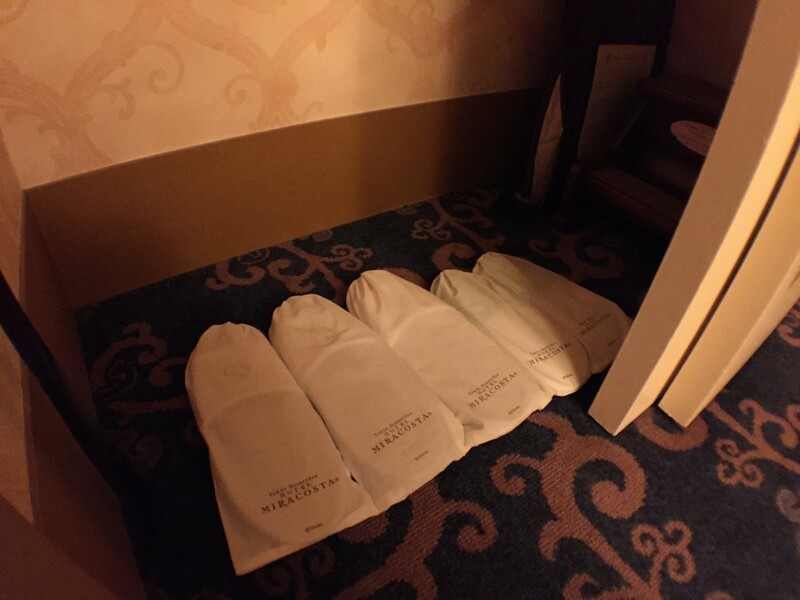 Above: Slippers are still available – you can take these home. 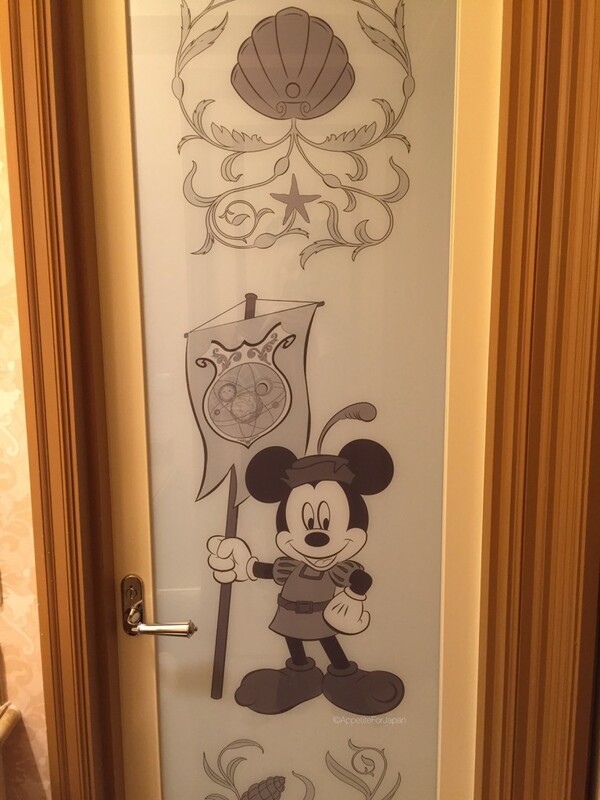 Above: A frosted glass door with Mickey as an explorer leads to the bathroom which has a separate bath and shower. 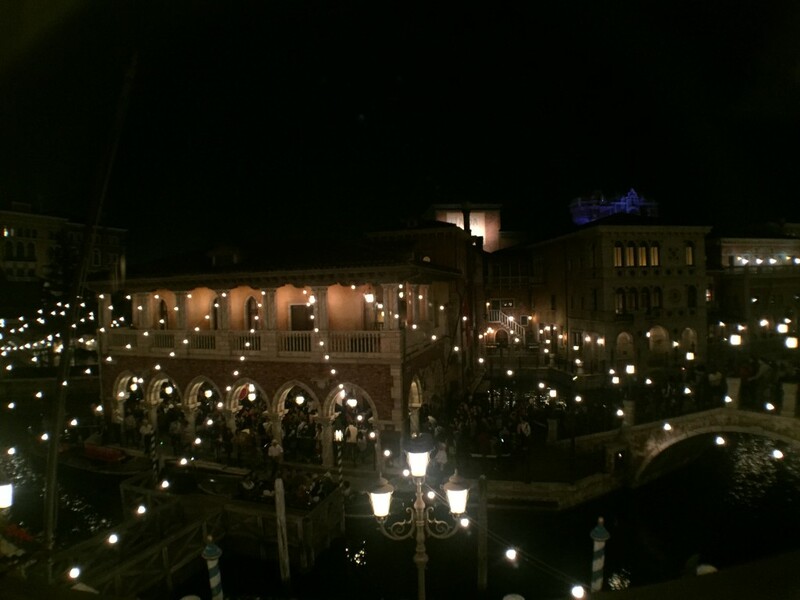 Above: View from room 2350 at night. The lights over the canal look magical. How much do the renovated rooms cost? 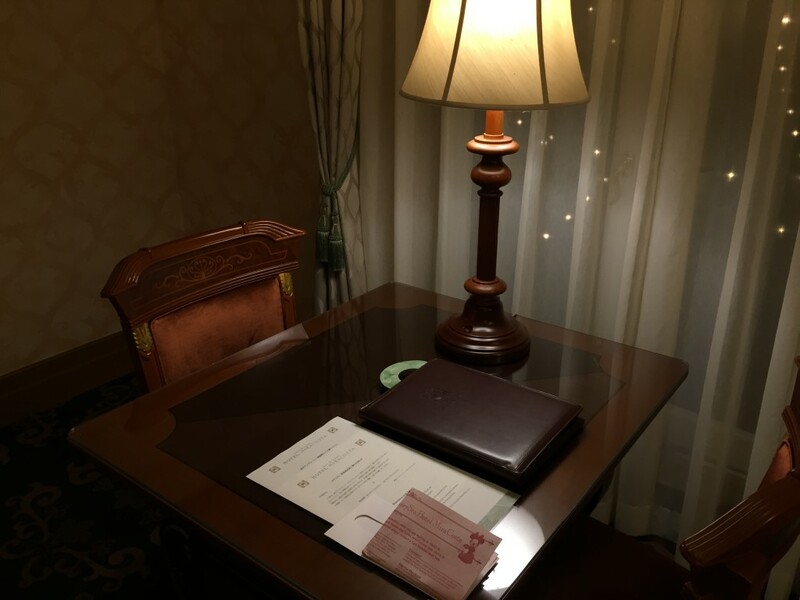 At the time of writing, unrenovated rooms cost between 36,000 Yen and 500,000 Yen (currently AU$411 or US$293 to AU$5713 or US$4074). 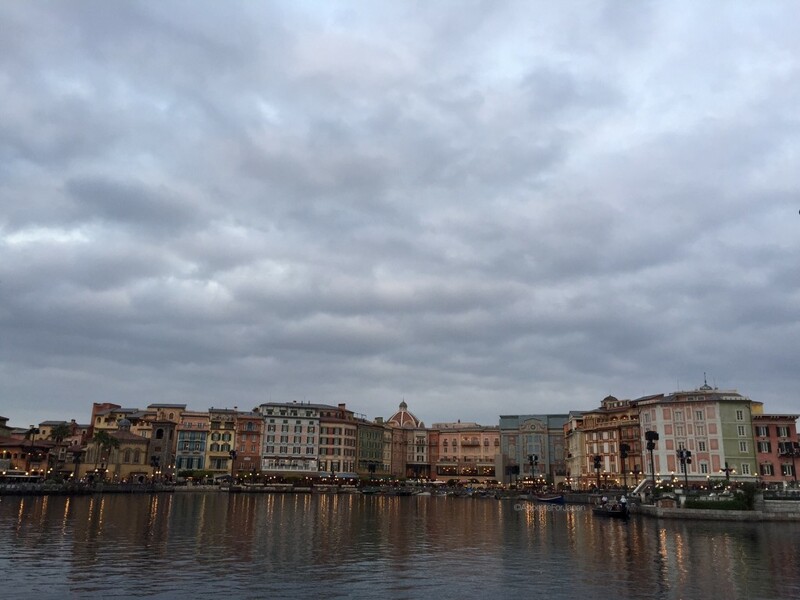 From 1 April next year, all of the renovations should be complete, with a night at MiraCosta costing between 44,200 Yen and 500,000 Yen (currently AU$504 or US$360 to AU$5713 or US$4074). 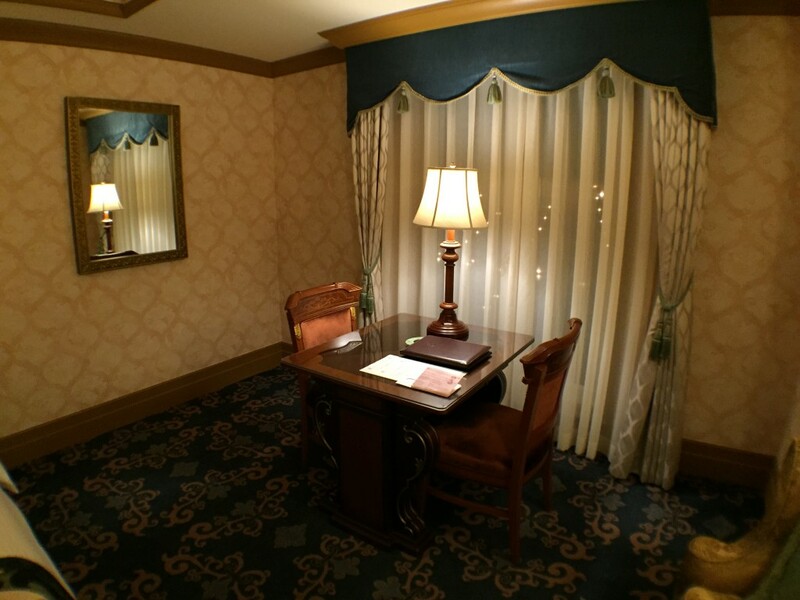 For the full table of room rates, click here. 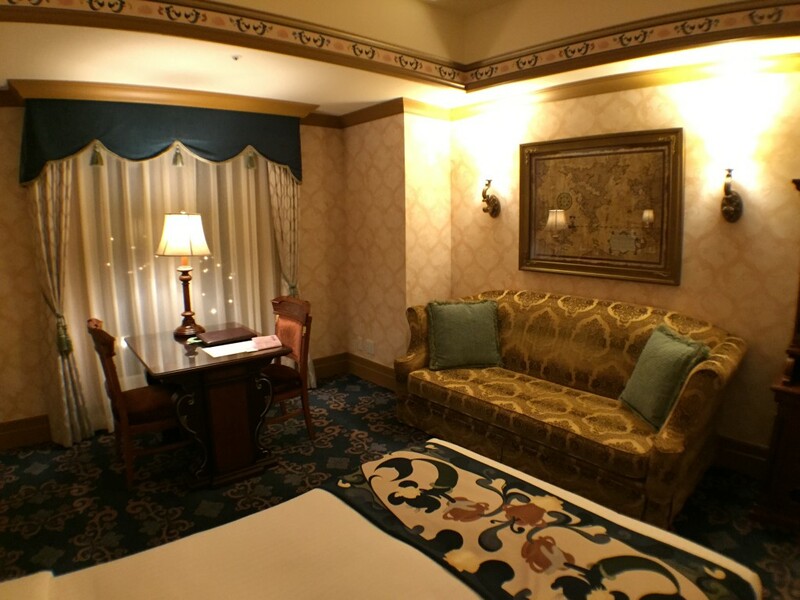 Until April 1 2016, some of the older styled rooms will still be available at a slightly lower price than the new rooms. 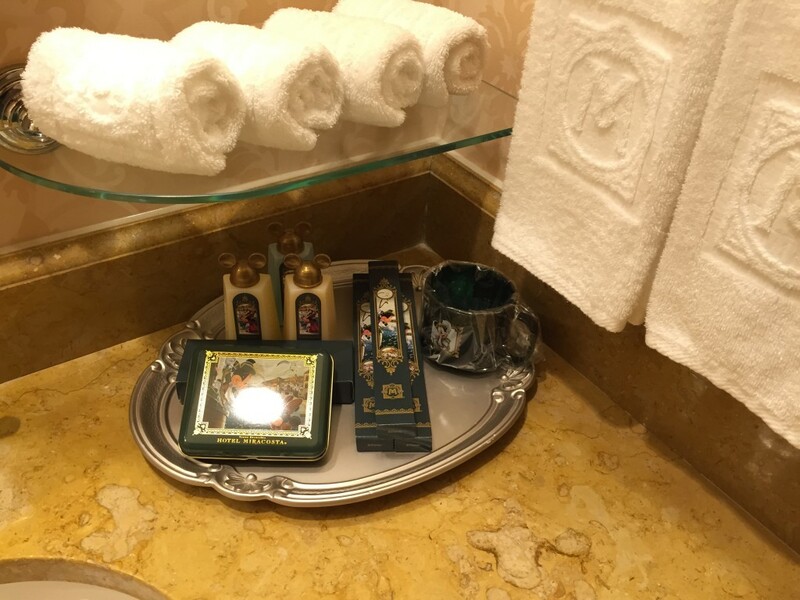 If you’re looking to reduce the cost of your MiraCosta stay, an older room is worth considering – after all, it’s really only the visual aspect of the hotel that has changed. Either way it’s a great hotel to stay in. 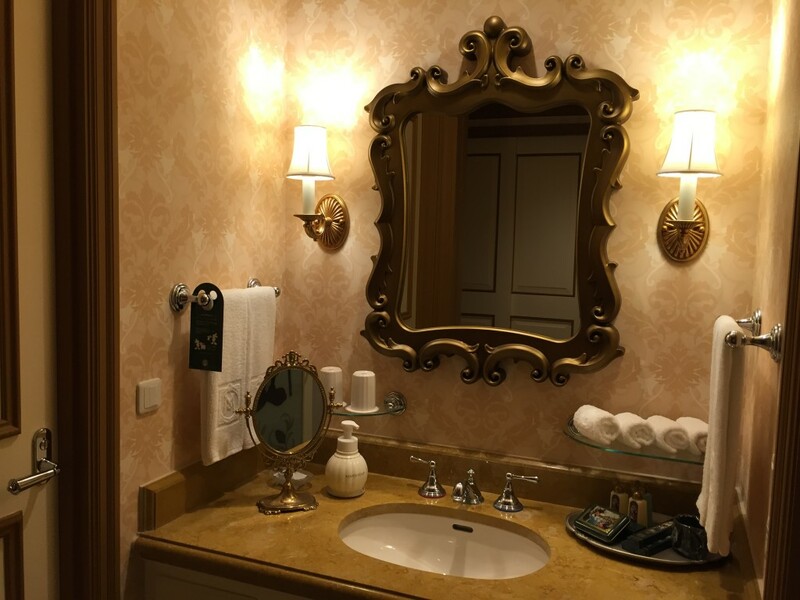 For more information on staying at Tokyo DisneySea Hotel MiraCosta, click here to read my post that answers a lot of common questions.